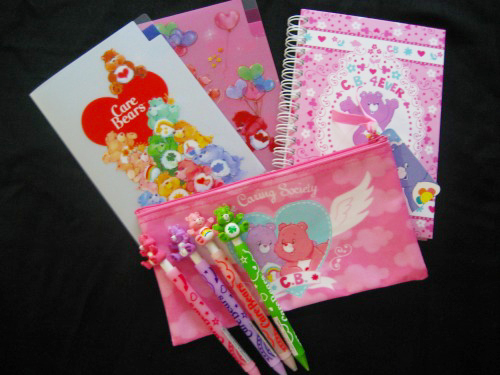 These are Care bears cute stationeries from Sony Creative Products ballpoint pens, mechanical pencils, clear file folders,a pencil case,a note book… They can heal my life. the pens and folders are so cute!!!!! i have been trying to find this everywhere. i tried to order them from the website but it’s only in what i can guess is japanese. do you know any other way i could order them? I think you can buy on ebay. Many products are there. i tried the link that you sent me but i still can’t find the product. how were you able to order yours? i noticed the mix website has shut down, and i really want to get the item (i’m more interested in getting the mechanical pencils more than anything). i’d really appreciate it if you could post any more helpful information. I guess you can buy them from Rakuten ichiba .